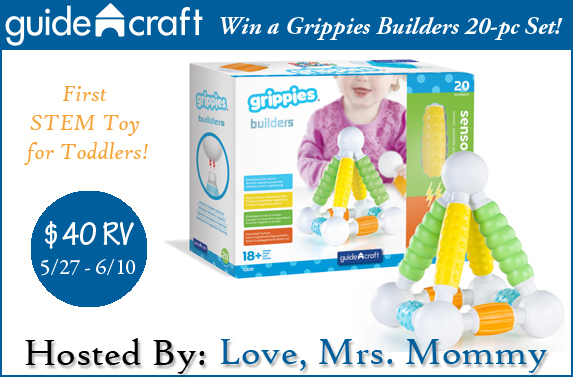 Grippies Builders is the first STEM toy made for toddlers! Perfect for ages 18+ months old! Be sure to check out Love, Mrs. Mommy’s review HERE!